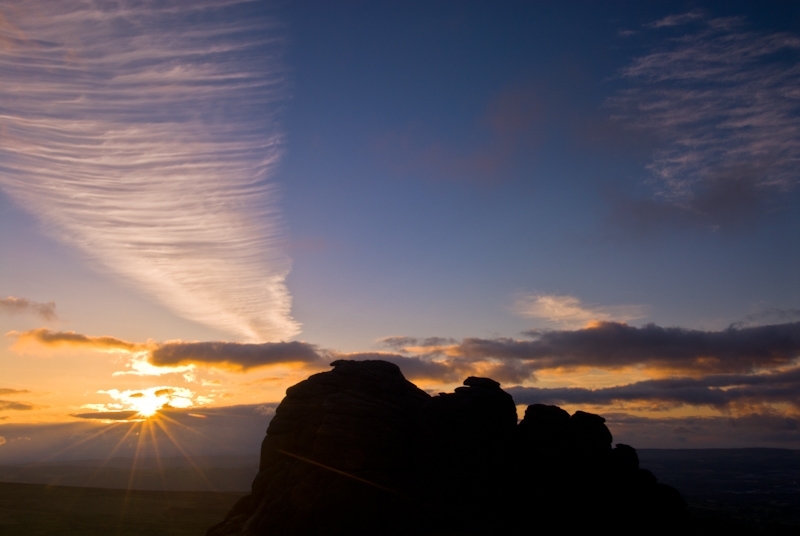 Hay Tor (or Haytor Rocks) is one of the most popular Dartmoor tors for visitors. 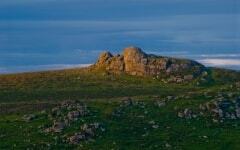 The tor lies off the B3387 by the hamlet of Haytor Vale, just east of Widecombe in the Moor. On a morning in late June I arrived at Haytor before dawn, and wandered among the otherworldly rrock formations, looking for a good vantage point. The thing I recall most about this photo is that the wind was whipping in through gaps in the rocks, and despite the fact that it was the middle summer, it was uncomfortably cold!